The start of June signals the beginning of summer, warmer weather, beach vacations and… the start of National Dairy Month! Formerly known as National Milk Month, National Dairy Month began in 1937 as a way to get people to incorporate more nutritious dairy into their diets. 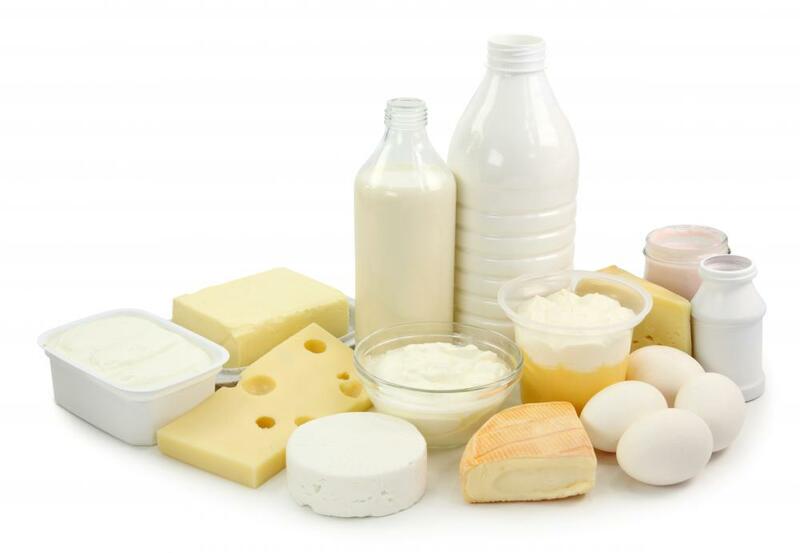 Dairy products contain nine essential nutrients like calcium and potassium. These healthy nutrients can help manage weight, reduce risk for high blood pressure and osteoporosis, and they also keep your teeth healthy. Although most people know that drinking milk leads to strong bones, not many people realize that dairy products can also help keep your teeth strong as well. Nutritious dairy products like yogurt or string cheese contain high levels of calcium and vitamin D. Calcium is a vital nutrient responsible for the rebuilding of teeth. More specifically, the saliva in our mouths expose calcium to our teeth and it helps to combat some of the corroding effects of foods we eat (like carbohydrates and sugars) and remineralization will take place. The National Dairy Council suggests that people older than 9 years should ideally consume 3 servings of low-fat or fat-free dairy every day. However, most people are only getting 2 or less servings of dairy daily. For example, a single serving of dairy is equal to one 8-ounce glass of fat-free or low-fat milk or 1.5 ounces of reduced-fat natural cheese like cheddar. Feel free to contact Drs. Ali & Ali and the caring team at Wellesley Dental Group if you have any thoughts or concerns; they will be happy to answer your questions! Contact us today at 781-237-9071or smile@wellesleydentalgroup.com to set up an appointment and consultation.Your little ones and teens are welcome to visit our pediatric dentist Dr. Kim or Dr.Pradhan. Dr. Emad is happy to help with your orthodontic needs. For wisdom teeth extractions or any other oral surgery needs Dr. Ghazi would be more than willing to help.